This month, don’t get too lost in the turkey, stuffing and pumpkin pie and forget what is truly important during Thanksgiving- appreciating what you have and giving back to those who don’t. November is a time to give thanks for all of the blessings in your life. The best way for your business to show its appreciation is to get involved in charities and opportunities to give back in the local community. Incorporating a social mission is a great way to get your team together to do service and make a difference through building relationships with the community. Philanthropic service in the community is important because it helps build and empower the community. As an organization, it is very humbling and rewarding experience to extend a helping hand outside the boundaries of your office. Getting your team to share in the valuable practice of service is enlightening because it helps you learn while participating in projects bigger than yourself. Giving back to the community is also important for your organization because it helps build relationships. When your organization gives back to the community, people are able to learn about your team and the people on it. It helps get your name out there and establishes your identity as an organization that cares about the people in its community. 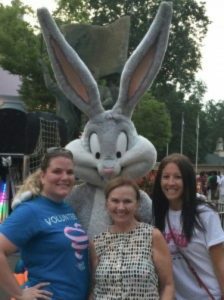 Committee Encouraging Corporate Philanthropy (CECP) reported that 30% of employees in an organization volunteer their time for giving back in 2014. Charities.org found that organizations that allowed their employees charitable choice, employee participation increased. This shows that employees are interested in giving back to their communities and causes. Recently, CMA had the opportunity to participate in the One Simple Wish backpack drive to collect school supplies for children in foster care. 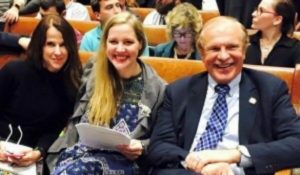 Social Media and Public Relations Specialist Jen Samuel, center, joins Senator Raymond Lesniak (D-20), alongside Jane Smith of Elephants DC, to advocate for the end of ivory trade in Boston in October. CMA is currently partnered with the Rescue Mission of Trenton to help break the Guinness World Records for the largest collection of clothing for recycle or donation. The record to beat is 153,240 items so there’s a lot to be done! The clothing is to be donated to those in need within the Trenton community. Giving back is one of the most rewarding and easiest things to do. All you have to do is find a cause that your team is passionate about and offer helping hands.